Judson Cornwall was born on Aug. 15, 1924. He was the third generation of ministers in his family and was preaching at age 7. 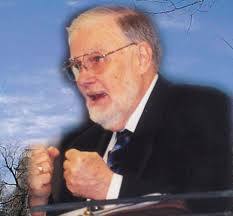 He gained much wisdom from starting and pastoring churches in the Western United States. Many of his experiences have become illustrations and examples in his messages and 50 plus books. He became well-known as a speaker for the last 20 plus years of his life with a major focus on worship and loving Jesus, as you will see in the messages below. Later in life Judson Cornwall battled a painful cancer, but always with praise on his lips. He was promoted to the Presence of the God he loved on Feb. 11, 2005. Even though he is now rejoicing and worshipping in heaven, his messages and books continue to bring encouragement, instruction and inspiration to the body of Christ.